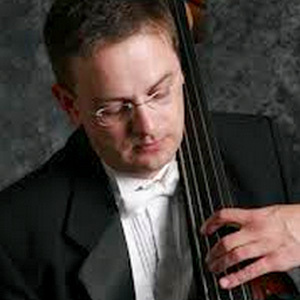 Will Clifton has been the principal bass of the Omaha Symphony since 1991. Prior to this tenure, Will was co-principal bass of the New World Symphony, where he played under the artistic leadership of Michael Tilson-Thomas and performed under the baton of some of the world’s most eminent conductors. Will’s studies began at the University of Nebraska at Lincoln at the age of 15, where he had the opportunity to shape his fundamental skills with bass instructor Rusty White. Later he attended the University of Cincinnati College-Conservatory of Music, where he studied with Barry Green, had the opportunity to play frequently in the Cincinnati SymphonyOrchestra, and performed with the Cincinnati Ballet, the Dayton Philharmonic Orchestra, and many other orchestras in the southern Ohio region. In 2011 Will performed the Concerto for Double Bass, Strings, and Harp,composed by Dave Anderson on an Omaha Symphony Chamber Series concert with the composer in attendance. Will performs on a Cincinnati Bass Cellar “Tewksbury” model, built for him in 2012 by Andrew Stetson and his team of luthiers.